Keyboard shortcuts can be used in the Plan screen. To view the keyboard shortcuts, select a plan and click on the keyboard icon at the top of the plan page. 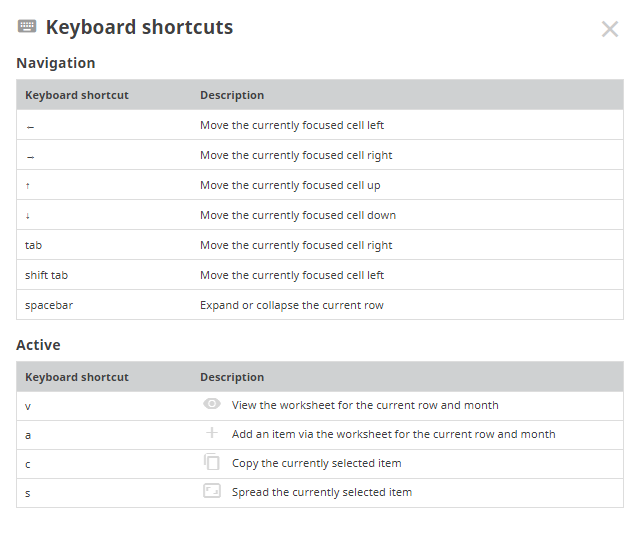 Below is a list of the keyboard shortcuts currently available in Cash Manager Focus.